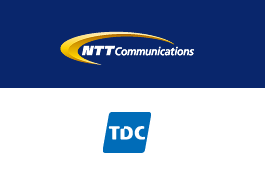 NTT Communications announced an agreement with Denmark's TDC enabling it to extends services in the Nordic region. NTT Communications will also provide TDC with an extension to its Asia-Pac network through NTT Com's Global data network services. "Both TDC Wholesale and NTT have clear visions and growth strategies for 2013 to 2015, which require high performance oriented cooperation and new business development in order to meet the ambitious time to market objectives. The collaboration between TDC Wholesale and NTT will further enable these visions. Nordic organizations show a growing demand for globally scalable ICT solutions, and on TDC Wholesale's Nordic platform, NTT is able to meet these demands and connect them to their global footprint. In parallel TDC's global reach is extended with NTT's global network," stated Eva Birgitte Bisgaard, Vice President, TDC Wholesale. TE SubCom has completed an upgrade of the 18,000-km Trans-Pacific Express (TPE) submarine cable system by adding 1 Tbps of capacity. 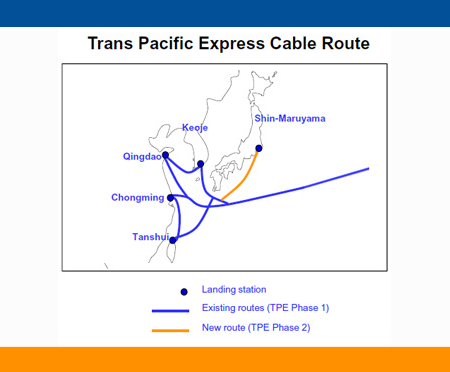 The TPE cable system, which entered service in 2008, the U.S. (Nedonna Beach, Oregon) and Asia with five landing stations located in Chongming, Qingdao, Keoje, Tanshui, and Shin Maruyama. It is owned by AT&T, Chunghwa Telecom, China Telecom, China Unicom, KT, NTT Com, and Verizon Business. Zayo reported revenue of $243.5 million for the quarter ended 31-December-2012, a $13.8 million sequential quarter increase. Adjusted EBITDA for the quarter was $137.3 million, which was $14.7 million higher than the prior quarter. There was a loss from continuing operations of $20.0 million for the quarter, which was $33.4 million lower than the $53.4 million net loss for the previous quarter.. Contributing to the sequential quarterly revenue increase of $13.8 million were the acquisitions of FiberGate, US Carrier and First Telecom Services. Also contributing to the revenue growth was positive net installations during the quarter. Zayo said this increase in revenue related to organic growth was partially offset by total customer churn of $3.3 million in monthly revenue during the quarter. Zayo's financial backers include eight leading telecom investment firms.